Now that most new smartphones can record video in 1080p or 4K, we carry capable camcorders everywhere we go. This has been part of our lives long enough that it no longer strikes us as novel. But our phones aren’t just video recorders; they’re full production studios. All they require is the best Android video editor for your needs. Here are 10 of the best movie maker apps for Android. Remember that they aren’t limited to your phone, as you can also install these video editors on your tablet or Chromebook. Those who have used a video editor on a computer before know they come with a certain look. There’s a timeline at the bottom, while clips are available in the top-left and a preview sits in the top-right. CyberLink’s PowerDirector video editing app will give you that familiar interface on your Android device. 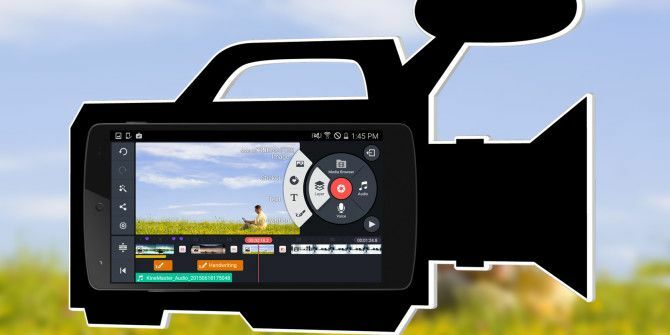 This app is one of the most advanced Android video editors. Some apps need a bit of work to transition comfortably from desktop to mobile, but this isn’t one of them. 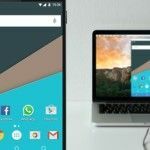 The Windows version remains the more powerful option, but Android’s mobile adaptation is hardly as dumbed-down as you might think. Adobe Premiere Pro has been the go-to desktop video editor for many since 2003. Premiere Clip is the company’s mobile alternative. You don’t have to be invested in Adobe’s ecosystem or use Creative Cloud to use this Android video editor, but if you are, you need not look any further. Premiere Clip can load the edits, music markers, fonts, and other assets that you use in Premiere Pro. Premiere Clip requires you create an Adobe ID, so this isn’t the best option if you’re suspicious of cloud services or are concerned about what information Adobe may collect. As part of the trade-off, you get a mobile editor with enough artificial intelligence to make videos for you automatically. Still, the emphasis is on making professional videos, so the portrait-only interface provides you with plenty of tools for editing your content manually. Have a look at our guide to using Adobe Premiere clip to get started. FilmoraGo is a capable video editor that makes it easy to apply themes, add music, and insert other effects. When you’re done, you can post your video directly to various social media sites. You also have the option to export your video in an Instagram-ready 1:1 aspect ratio. While the app can take a stab at turning your footage into an edited video on its own, you also have the tools to go hands-on. You can trim scenes, create titles, choose between transitions, and perform other essentials. The developer has tucked some functionality behind in-app purchases, but there are no ads. VideoShow is a video editor packed with plenty of extra features that are just plain fun. You can freehand draw on top of your video recordings, as well as add stickers. With a few added sound effects, you have creations that are great for home videos or laughing with friends, even if you wouldn’t want to show them off at the next company meeting. The free version has ads, and there’s a paid version that’s relatively expensive. There’s also a marketplace with more themes, music, and other add-ons. Many are free, but others require an annual or lifetime VIP membership. Mobile processors simply don’t offer the same amount of power found on desktops. So when you’re making edits and exporting files, everything is going to take more time than it would on your PC. WeVideo says one way to get around this is by doing your video editing in the cloud. Let its remote machines apply changes more quickly than your local hardware could. The downside of this approach is that you have to wait for video clips to upload before you can get started, and you have to trust your files to someone else’s servers. Then you have to re-download everything when you’re done. If you don’t find this off-putting, you’ll be treated to a modern interface that is different from traditional video editors. It’s pretty easy to navigate on a touchscreen, even with a complete lack of video editing experience. Video editing is complicated, and not everyone has the time or patience to sit down and develop the skill. Magisto is for those folks. The app takes your video clip, uploads it to someplace remote, applies a few timely edits, inserts music and extra visuals, then produces a file you can share on your social networks. Magisto isn’t an app you’d turn to for professional work, but it can take a few awkward recordings and disconnected photographs of your niece’s graduation and turn them into something awesome. Share it for a few giggles without devoting too much time. 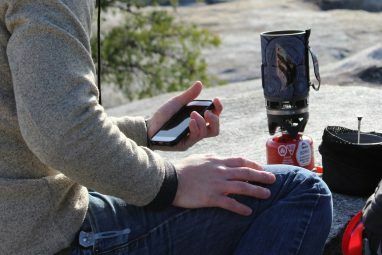 When you alternate between a smartphone and a GoPro, it’s be handy to have an app that handles both. That’s Quik in a nutshell. This Android video editor is perhaps the least traditional on the list. While you can edit videos yourself, Quik is quick to do the job for you. Quik will take the videos in your library and automatically edit them, detecting the most exciting moments and adding background music. If you do decide to tweak your own shots, you can still select from the app’s library of music to set the mood. Quik isn’t the most capable GoPro video editing software, but it isn’t meant to be, either. AndroVid is an older video editor for Android. Yet despite its age, newer releases have updated the interface to keep it feeling modern. The core features are here, though you won’t find many extras such as stickers or themes. However, you might consider this a plus. As with many free apps, the ads can get annoying. You will also have to deal with features tucked away behind in-app purchases. Take care of both issues by springing for the paid version, which is relatively cheap. Many video editors perform the same tasks in different ways. Some have an interface that you might find slightly more intuitive. Another may have a certain theme or effect that touches your heart. If none of the options thus far have spoken to you, maybe VivaVideo will. At a certain point, you need to go hands-on to see which one works best for you. This Android video editor is one of the most feature-rich options on Google Play. The free versions contains ads and in-app purchases; a pro version removes those ads. Which Is the Best Android Video Editor? Whether you’re producing casual videos for the family or making touch-ups to a clip you’re going to throw on the web for work, there’s a video editor for Android that can get the job done. Just be patient, as the process may take a bit longer than it would on larger, more powerful machines. 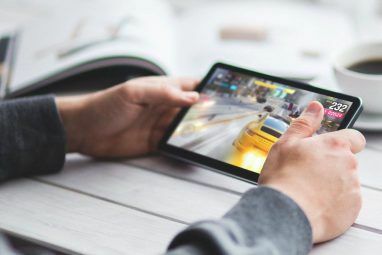 If you’re making videos on your phone or tablet, you’re going to want a good Android video player 8 Best Mobile Video Players for Android 8 Best Mobile Video Players for Android Every smartphone needs a video player -- let us help you find the best one for your needs. Read More . This way you can enjoy what you produce without having to first send the file over to another device. Explore more about: Android Apps, Video Editing, Video Editor. I was looking for video editors for my Asus Tablet and found your site helpful. If you know other Video Editors suitable for my Asus Tablet let me know.